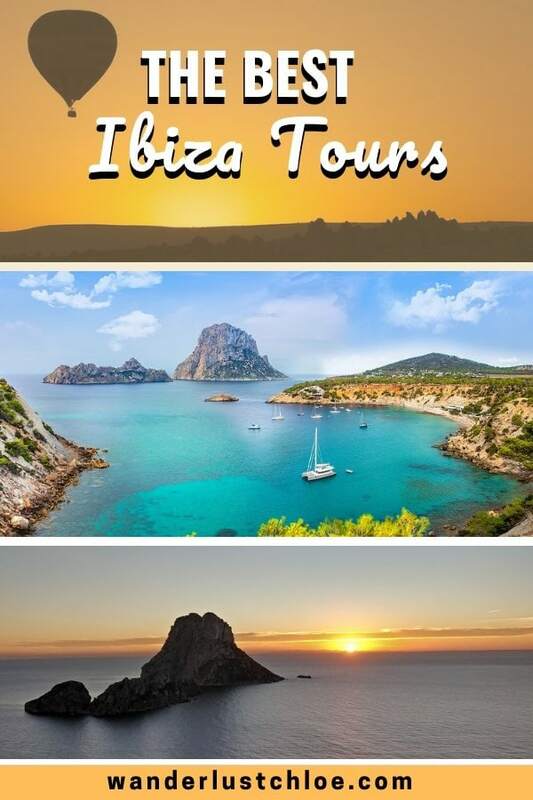 From boat trips around the white isle and snorkelling in the crystal clear waters, to cultural tours through Ibiza Old Town, beach parties and hot air balloon rides, these Ibiza tours will make your holiday extra special. I’ve been to Ibiza four times – each time a very different trip to the last. Partying on the cheap in my early twenties, and gradually moving on to more luxurious trips as the years have gone on. I really love the island. It’s a beautiful place with great beaches and stunning scenery. While San Antonio might not have the best reputation, don’t ever let that put you off. There are lots of pretty towns on the island. Also, as it’s such a popular holiday destination, there are plenty of great activities to do too. You’ll never be bored! There’s also a variety of accommodation on offer, from chain hotels and rustic B&Bs to stunning villas. If I returned this year, I’d definitely opt for a villa with friends. I love the freedom that self-catering accommodation brings – you can eat what you want, when you want, and really spread out in the space. 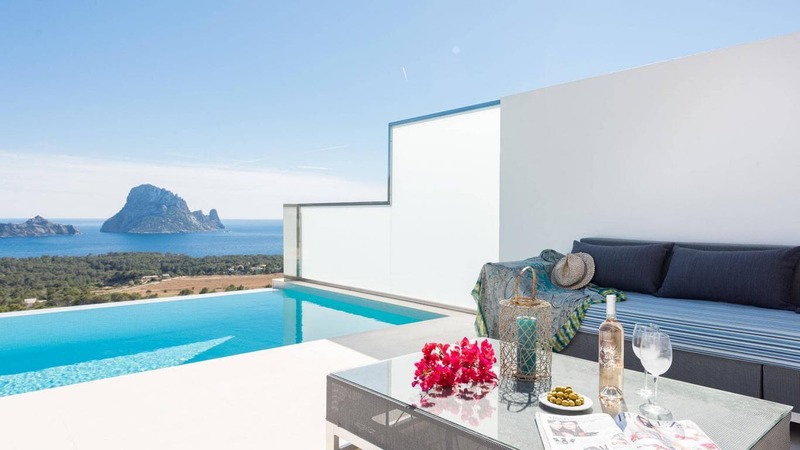 I’ve been enjoying looking at Villanovo’s range of Ibiza villas, many with infinity pools and breath-taking views. You might think this would come at a serious cost, but when you split it between a group of you, it’s often cheaper than staying in a hotel. So when you’re not lazing by your villa’s infinity pool, relaxing at a beach club, enjoying an epic sunset, or partying until dawn, these are the best Ibiza tours to squeeze into your holiday schedule. Of all the Ibiza tours, this one offers the perfect mix of adrenaline and relaxation! After hopping on board you’ll reach some top speeds as you explore Ibiza’s stunning coastline. Stopping a couple of times, you’ll have the chance to jump into the crystal clear waters and explore the island’s underwater life. Not only will you see some of the smaller beaches and islands that are hard to reach on foot or by car, you’ll also get to see some of the island’s caves. On the way back to the port, it’s time to celebrate with one of Ibiza’s famous sunsets and a glass of bubbly to toast your day. Bored of lazing around? 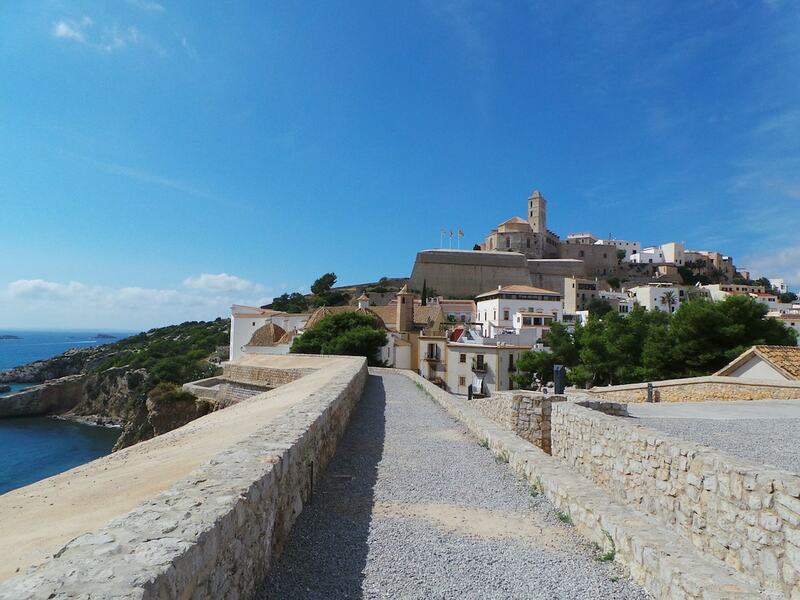 It’s time to pick up the pace a little with a bike tour around Ibiza Town. There’s nothing better than exploring a city on two wheels, with a nice breeze rushing past as you take in the sights. On this tour of Ibiza Town you’ll cycle along the beautiful seafront at Parc de la Pau, then head to the spectacular necropolis, old market square and the historic fortification of Dalt Vila. A tour like this is a great way to learn more about the town’s history and a fun way to get your bearings too! One of the most incredible Ibiza tours on offer right now is this – a hot air balloon flight over my favourite of the Balearic Islands. I’ve been on a hot air balloon flight once (in Cappadocia) and all these years later, it’s still one of my favourite travel experiences! 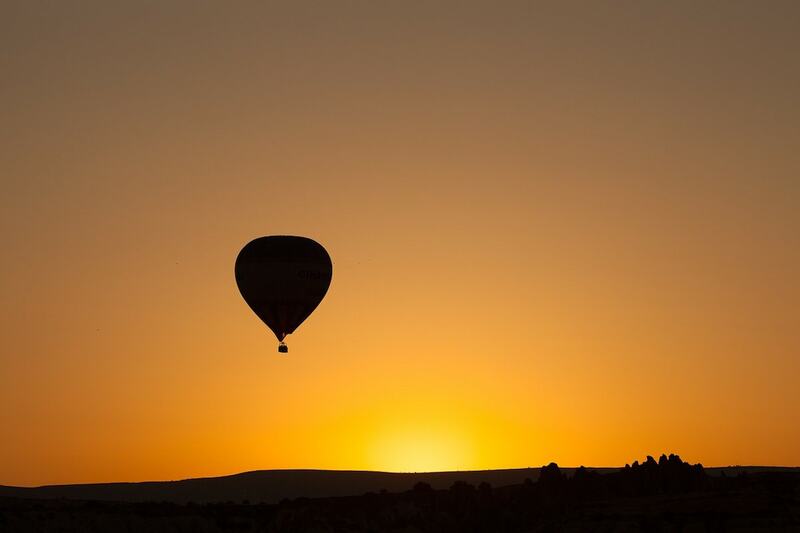 As you take to the skies on this sunrise hot air balloon flight over Ibiza, you’ll see the entire outline of the island, plus the neighbouring island of Formentera. You’ll toast your flight with a glass of bubbly, before heading for a celebratory breakfast nearby. What a unique way to get to know Ibiza! 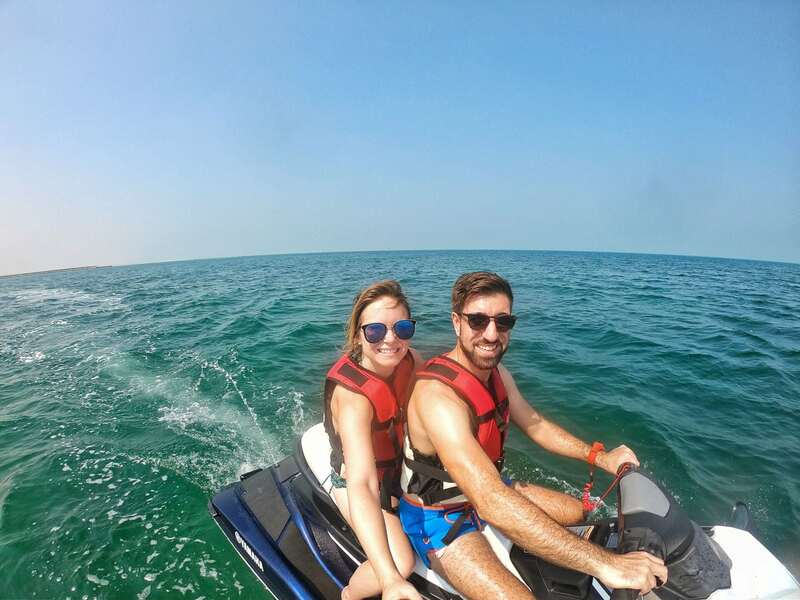 If you’re an adrenaline addict, then this Ibiza jet skiing tour is for you! Once you’ve learned how to drive a jet ski, you’ll head over to Atlantis – a beautiful cove on the southwest of Ibiza, close to the epic rocks of Es Vedra. So what is Atlantis? Well, back in the 16th Century when men were constructing Ibiza Town’s impressive buildings and monuments, this was the quarry where they collected the rocks. 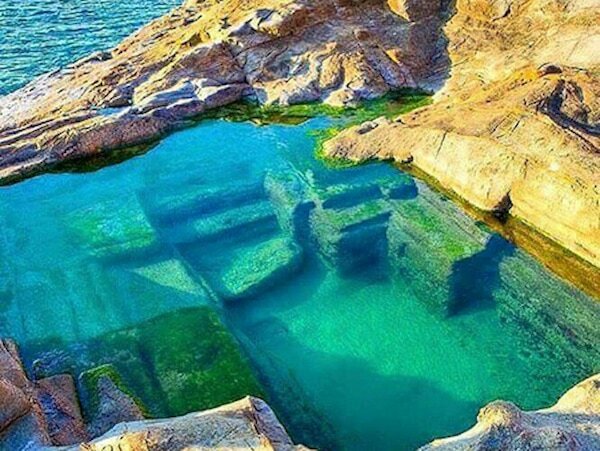 Years later, Ibiza’s hippies carved some into interesting shapes and left their own mark on this part of the coastline. Lots of people claim there’s a magic to the area, and with its labyrinth of caves and rock pools, it’s certainly a special, secret spot on the island. 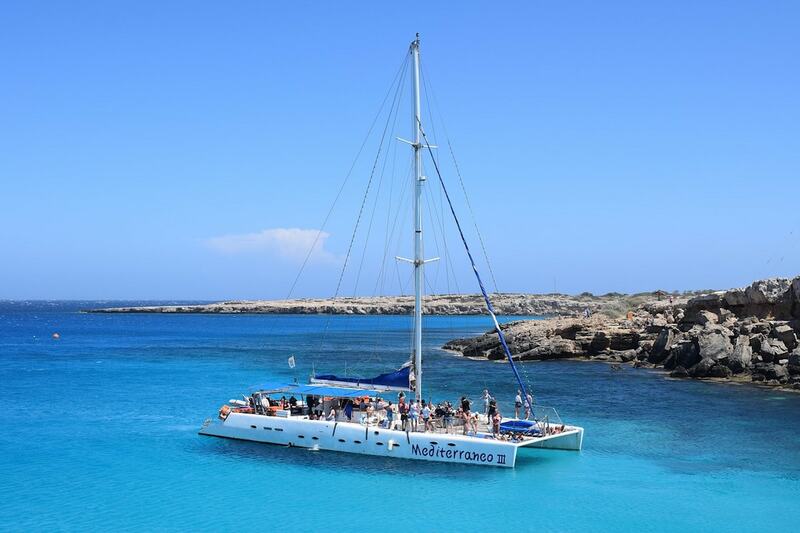 Now you’ve booked your luxurious Ibiza villa, how about a swanky catamaran to relax on for the day? This Ibiza tour will make you feel like you’re a VIP! After boarding your luxury catamaran you’ll sail towards the island of Formentera, learning all about the region’s nature before tucking into an incredible lunch of paella and cocktails on the private paradise island of S´Espalmador. All of that, plus there’ll be plenty of time for swimming, snorkelling and relaxing on the deck. Sounds dreamy to me! 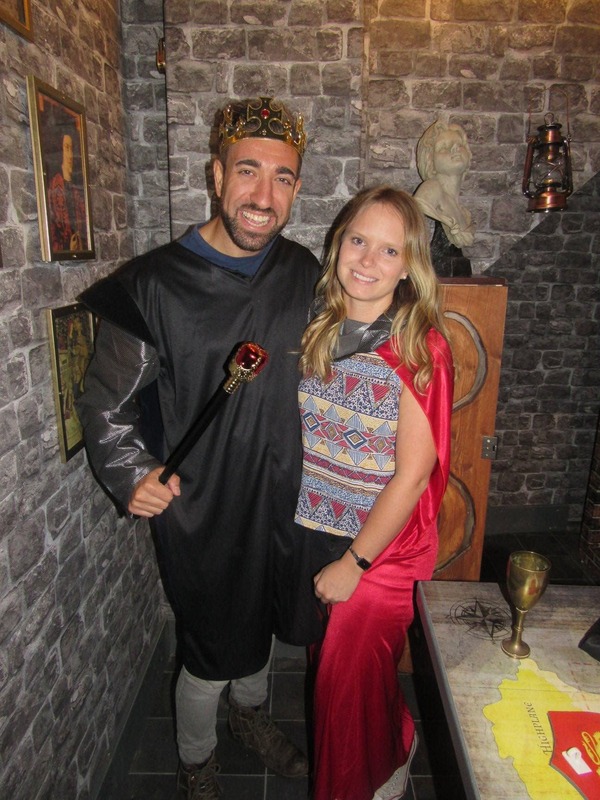 I’m a huggggeeee fan of escape rooms… I mean, I once did two in 24 hours! If the weather is a bit ‘meh’, or you fancy a fun activity and an hour out of the sun, then definitely consider an escape room in Ibiza. There are four to choose from – Wonderland, Sherlock, Mad Scientist and Zombie Apocalypse, each requiring a mix of problem solving, puzzles and teamwork to get out within 60 minutes! Our last escape room experience! 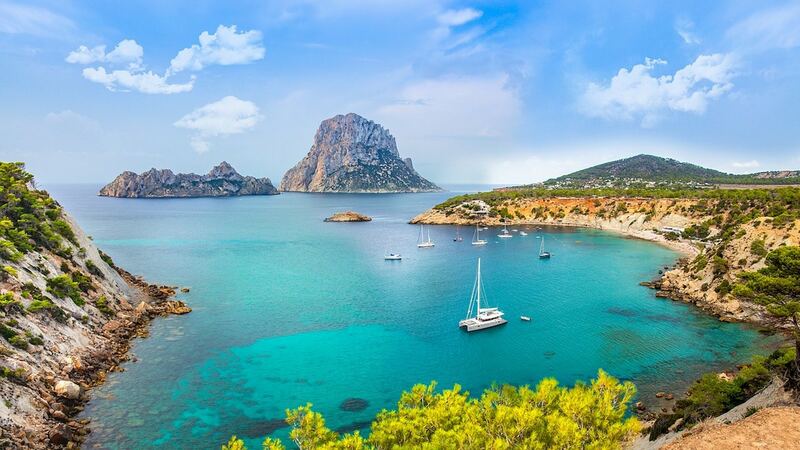 If you’re visiting Ibiza to party hard, then this is one of the island’s ultimate excursions! With a mega sound system and a big dance floor, this party boat sets from Playa d’en Bossa and offers beautiful views of Ibiza and Formentera. There’s an open bar, offering a selection of drinks including beer and sangria. You can also hop in the water for a refreshing swim. After three hours of partying on the water, it’s time to return back to the island, where you can continue dancing on the sands at Bora Bora Beach Club. As a big fan of street art and colourful murals, this is one of my favourite Ibiza tours on the list. Once you hop on your bamboo bicycle (yep, perfect for anyone looking to travel more sustainably) you’ll truly see a different side to Ibiza. As this is your own private tour, you can pick how long want to go for, and the kind of things you’d like to see. The guide will then take you off the regular routes and show you more of the island. 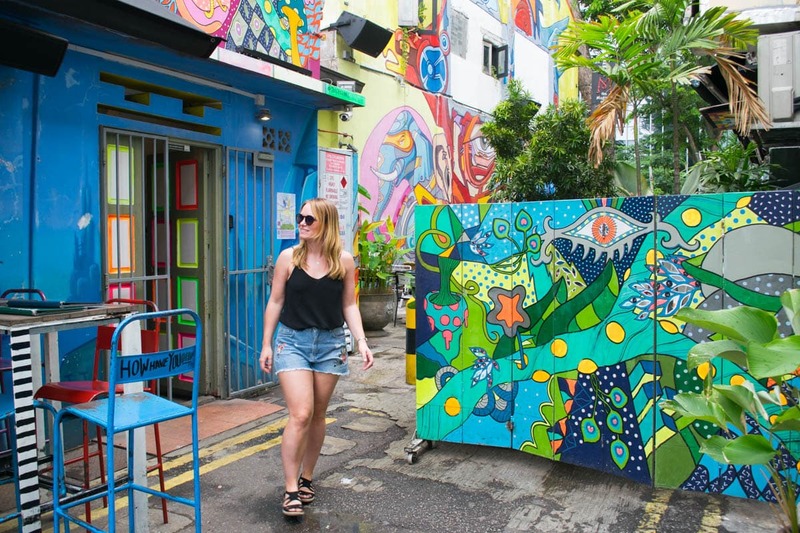 There are some incredible murals and graffiti in the towns and off the beaten track – you just need to know where to look! I always love exploring street art wherever I am in the world! If you fancy discovering a more bohemian part of the island, I can’t recommend Benirràs enough. 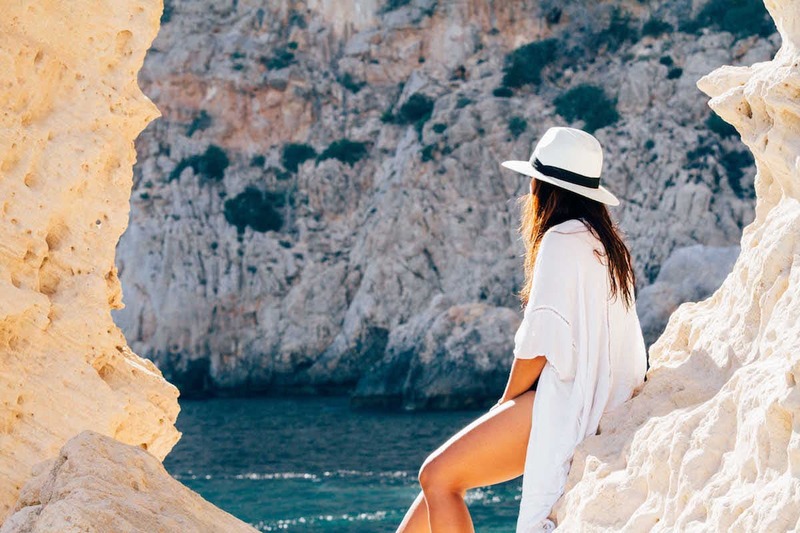 This Ibiza tour takes you on a picturesque boat trip to the stunning (and awkward to reach) cove on the north of the island. 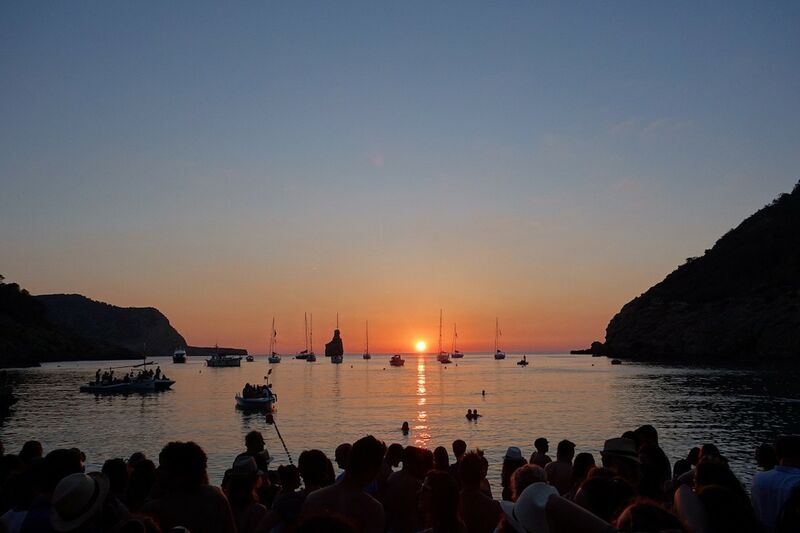 Benirràs is an Ibiza sunset spot with a difference – rather than the chilled out tunes of Café Mambo, here you’ll enjoy the rhythms of the hippie drum circle. This happens every Sunday, and is a great contrast to the party scene of Ibiza’s super clubs. 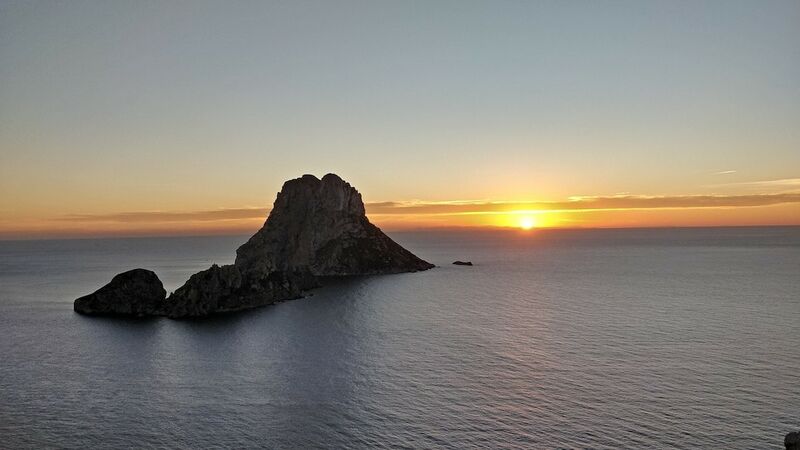 The sun sets behind Cap Bernat – an iconic rock that loons like a stone hand with its index finger pointing to the sky. As part of the Ibiza tours to Benirràs, you’ll be treated to a BBQ and sangria on the sand. There are also three restaurants and a small Ibiza beach bar if you fancy grabbing a something else to accompany the experience. I hope you’ve enjoyed my guide to the best Ibiza tours around right now. Let me know what you decide to go on! This post was sponsored by Villanovo but all words and opinions are my own.